I haven't been getting much done this week because since yesterday, Minty has been pretty sick! I try and stick to only talking about good things on here (well, I usually only have good things going on anyway!) but sometimes it just can't be helped. This is the first time I've had my very own pets, not just a family pet, and this is the first time one has ever been sick. Needless to say, I ran around like a crazy person ALL day yesterday, ha. We have an appointment with the vet tomorrow morning, so hopefully everything will be fine after that. She has such a big giant personality that it crosses over even into her being sick. At one point yesterday she was pathetically walking along the fence with her head down,a giant clump of moss dragging behind her (much like toilet paper stuck to your shoe), and eventually stopped and hid her head behind a chair while just standing there, for like 10 minutes straight. So normal. 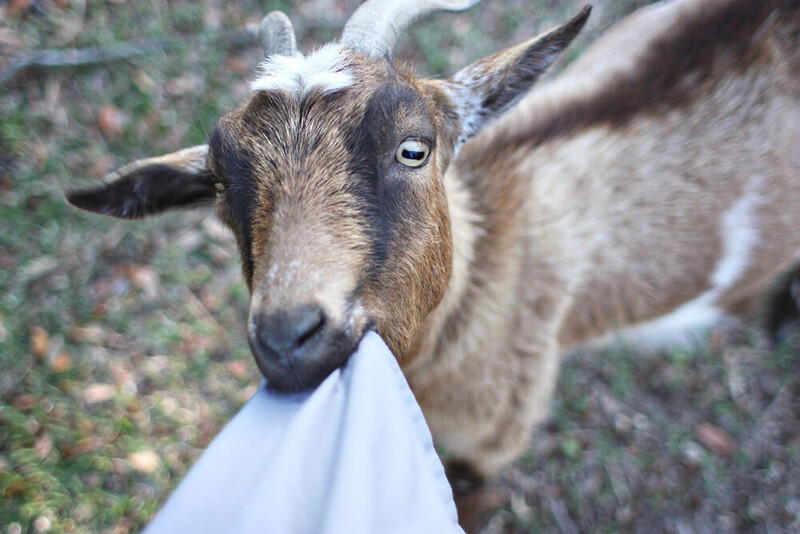 Anyway, I thought I'd share some pictures of normal, healthy goat life! P.s. there are usually more Minty pictures as opposed to Lola pictures. Lola isn't quite as aggressive and doesn't like to hog the spotlight as much (boy, is that the understatement of the year). I love that you have goats! I love them <3. I hope Minty feels better. I freak out when one of my babies (cats) get sick. its been awhile since we saw them there goats. It's good to see 'em again! I want goats SO bad. Some day. These photos are making me squeal they're so cute!! I hope Minty feels better. Aww, I hope your baby gets better! I know how distressing it is to have a sick pet. Your wee goats are precious! Great photos! Hope that little one is feeling better soon. Your blog is such an inspiration! I really hope Minty gets back to feeling like her normal self soon! ps. 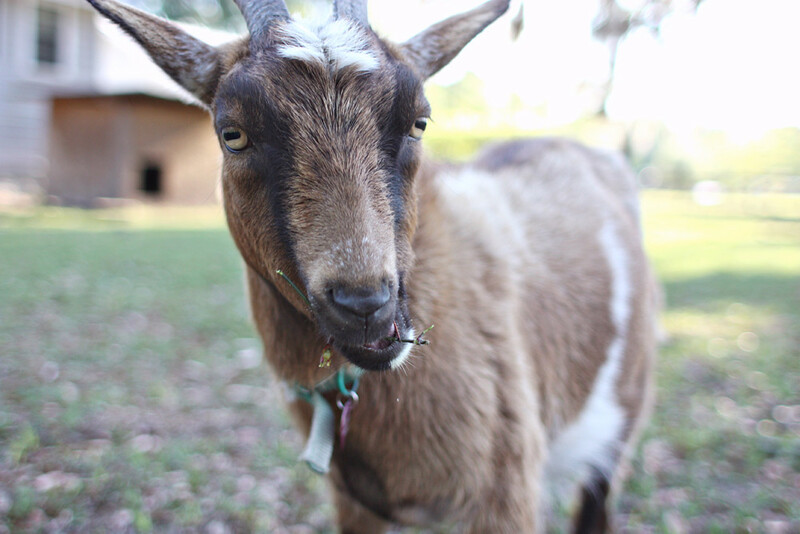 it is so cool that you have pet goats, love that! Sorry you goat is sick :( I hope it gets better soon! I really hope she will get better! my dream!! 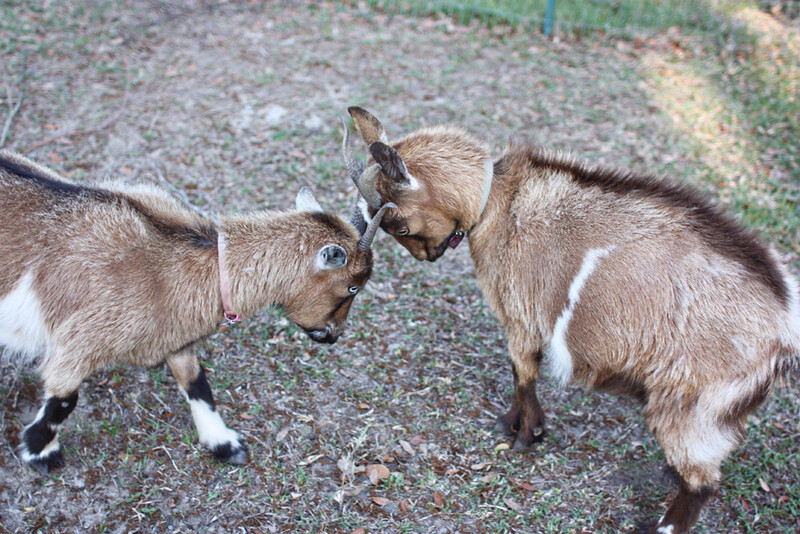 i want pet goats!! they are so funny. i would just like to comment that i really love that you labeled this "goats" and just that. Give Minty a hug for me and keep us all updated. She's in my prayers! I don't blame you for freaking out, its so hard having a sick pet, thats all you can think about! I hope Minty is all better after the vet vist. Those goats are so adorable, I want some pet goats too! Awww! I hope Minty is feeling better! 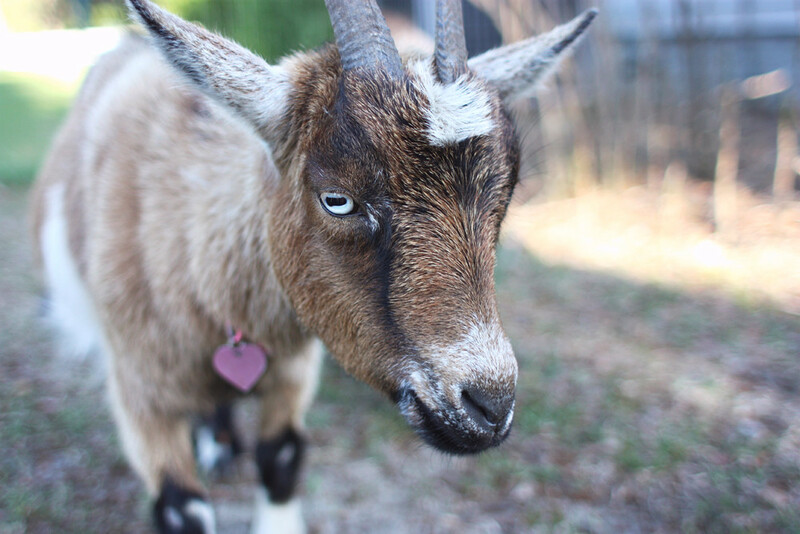 Goats have such weird eyeballs! But they are SO SO cute. A house down the street from me has a few goats and I love watching them roam around in their little field. I'm jealous that you have goats of your very own!! 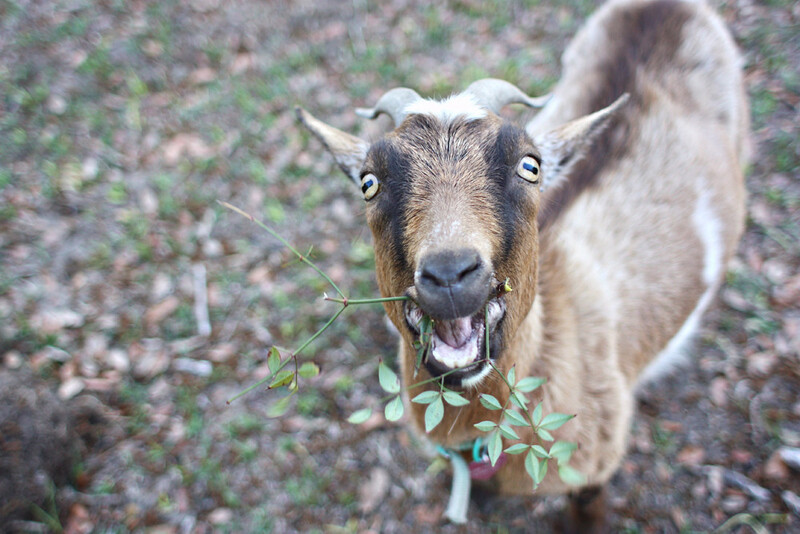 Goats are so cute! But I never realized they have such weird eyes... Haha! Gosh, what a cutie! 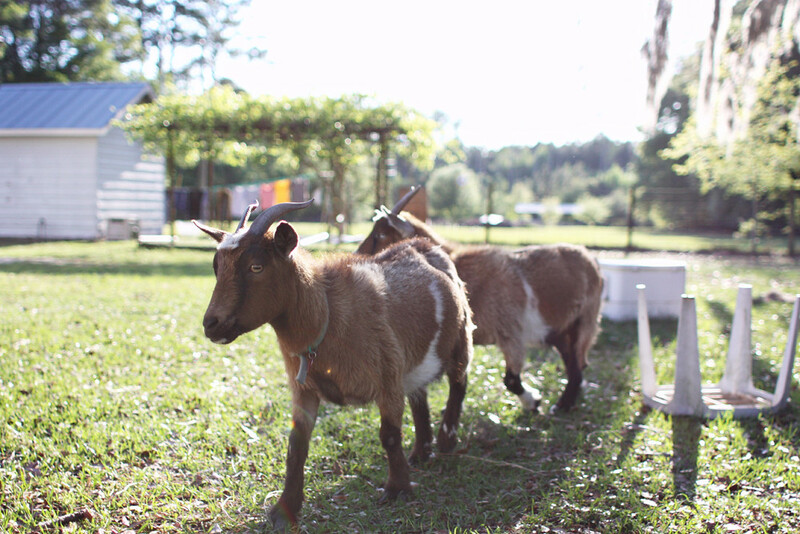 It is so awesome that you have goats - I am very jealous. I really hope Minty is feeling better soon! Wow! It's amazing you have pet goats, I never knew you could have goats as pets (please don't think i'm stupid haha xD) !